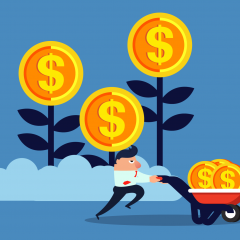 Last year, Golden Leaf Holdings, a leading cannabis company, paid $3.3 million for almost 100 acres of land in Oregon to build a marijuana growing, processing and research site. 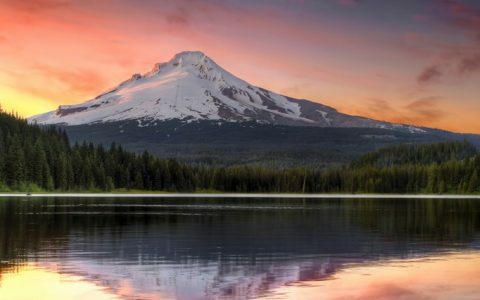 The future looked bright: Oregon voters had legalized recreational marijuana in 2014. 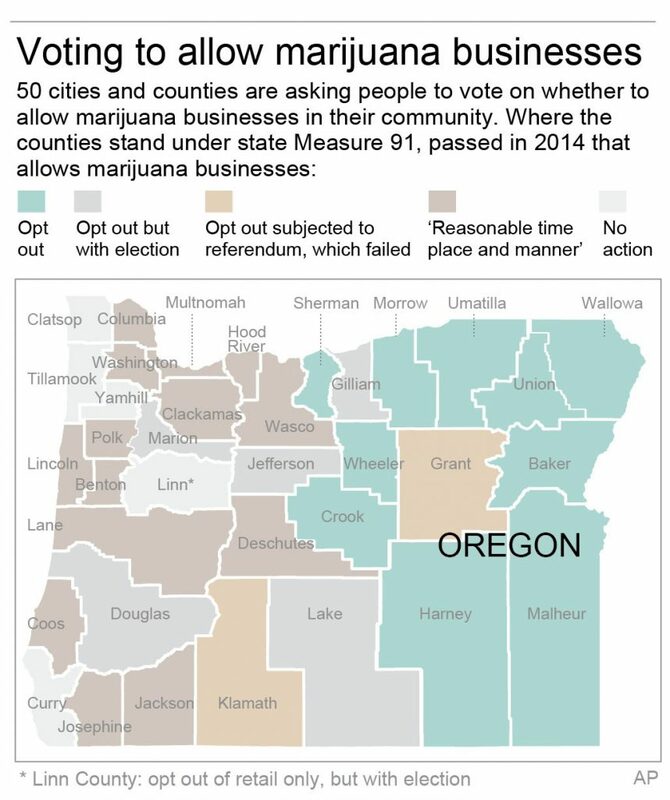 But Measure 91 gave counties and towns the opportunity to opt out and ban cannabis businesses. Days after Golden Leaf signed the papers on the property in Marion County near the town of Aurora, the county banned marijuana businesses in unincorporated areas. So did about 100 other towns and counties. 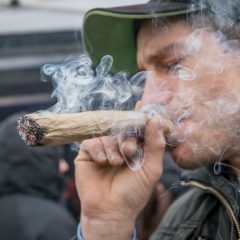 “That shut us out completely out of the recreational market, which was our original strategy,” said Beau Whitney, a Golden Leaf vice president. Now, Golden Leaf has another chance. 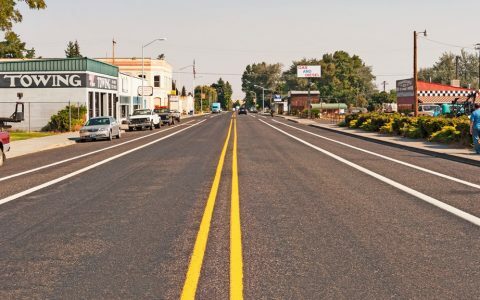 Marion County is one of about 50 Oregon towns and counties that will decide in the Nov. 8 election whether to opt back into the marijuana business, according to the Oregon Liquor Control Commission, which regulates and licenses the industry. 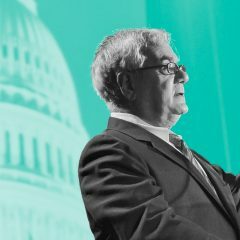 Other states across America are also grappling with the issue of how to deal with the emerging marijuana business. 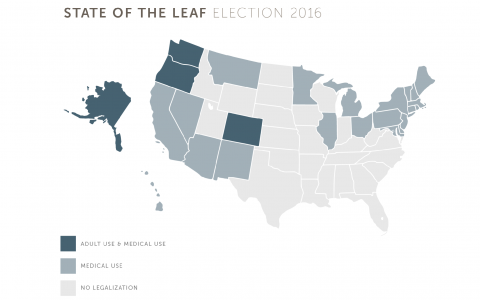 Recreational or medical marijuana measures are on ballots in Arizona, Arkansas, California, Florida, Maine, Massachusetts, Montana, Nevada and North Dakota. 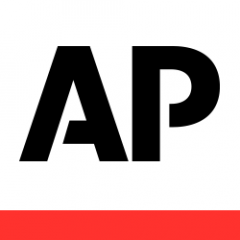 At Golden Leaf’s property, in the Willamette Valley between Portland and Salem, valuable machines to process marijuana into potent oils are mostly idle, used only for medical marijuana. One greenhouse was filled with rows of robust plants, but about 20 other greenhouses stood empty under rainy skies on a recent afternoon. Whitney said Marion County will lose $7.5 million in employees’ wages per year and in company spending for infrastructure development if voters say no to marijuana, forcing Golden Leaf to move elsewhere. Marion County Commissioner Sam Brentano said he doesn’t want the county overrun by cannabis businesses attracted by its rich soil and highway access, and that he has received complaints about odor, noise and lights. One recent evening, 16 backers of pro-cannabis ballot measures gathered in an anteroom of a medical marijuana store. Some volunteered to staff a phone bank. Others said they would hand out flyers to boost voter awareness of the ballot measures. “This is really the Wild West now,” Genevieve Sheridan, an insurance agent representing cannabis businesses, told those gathered at West Salem Cannabis. A color-coded map published by the Association of Oregon Counties shows how the differing policies have created a patchwork. 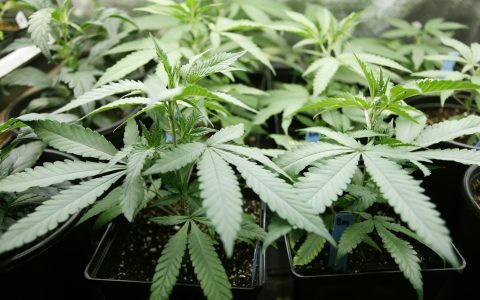 Oregon’s more conservative eastern counties are red, meaning they banned recreational marijuana businesses; counties establishing regulations for licensed marijuana businesses are green; those that have a marijuana vote pending are orange or violet; and others that haven’t taken any action are blue. Across the state, people are allowed to grow up to four plants, possess up to 8 ounces of marijuana in their homes and carry up to 1 ounce. The landscape is likely to change with this election. Some local governments, while perhaps opposed to the cannabis industry, want a greater share of the money if voters say yes to marijuana. Marion County is one of many jurisdictions that are asking voters to impose a 3 percent local sales tax on marijuana, on top of the 17 percent state tax. 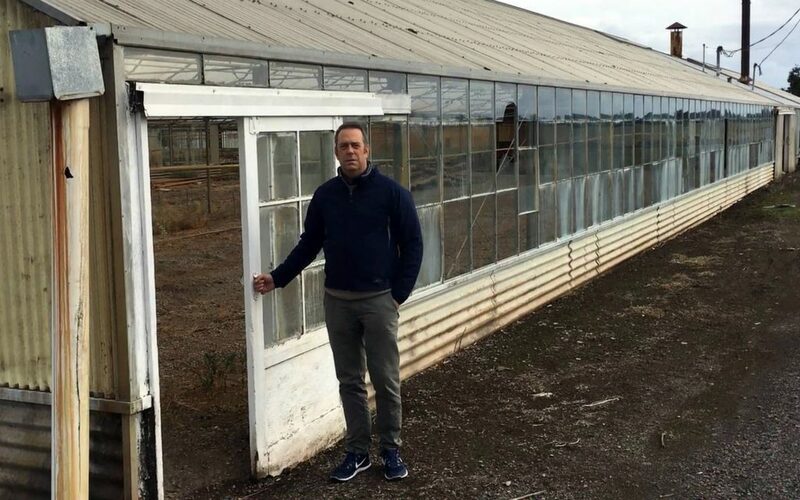 One recent morning, James Knox, president of Savant Plant Technologies, helped a friend harvest marijuana in a greenhouse in rural Benton County. Reggae music played as a half-dozen harvesters wearing surgical gloves pulled branches from the plants, stripped the leaves and tossed them into buckets, leaving behind sticky buds. The buds were dropped into another bucket and then taken outside and run through a trimming machine. Savant sells growing materials for cannabis producers. After Linn County, just a few miles from the greenhouse, imposed a moratorium on cannabis businesses, the six biggest customers of Knox’s flagship store moved away, costing him 40 percent of gross annual revenue. They didn’t stick around to see if county residents will vote to allow retail marijuana production and sales. 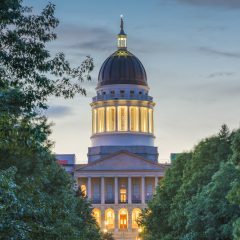 “Some local governments, while perhaps opposed to the cannabis industry, want a greater share of the money if voters say yes to marijuana. 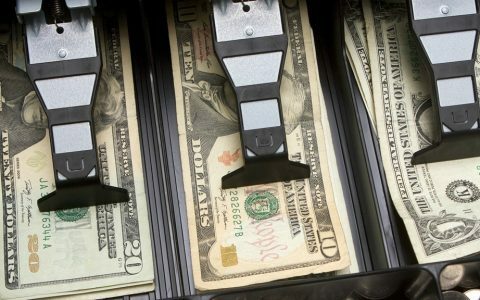 Marion County is one of many jurisdictions that are asking voters to impose a 3 percent local sales tax on marijuana, on top of the 17 percent state tax.” There it is. “Give us more money…” At least its not 37%, like Washington State.